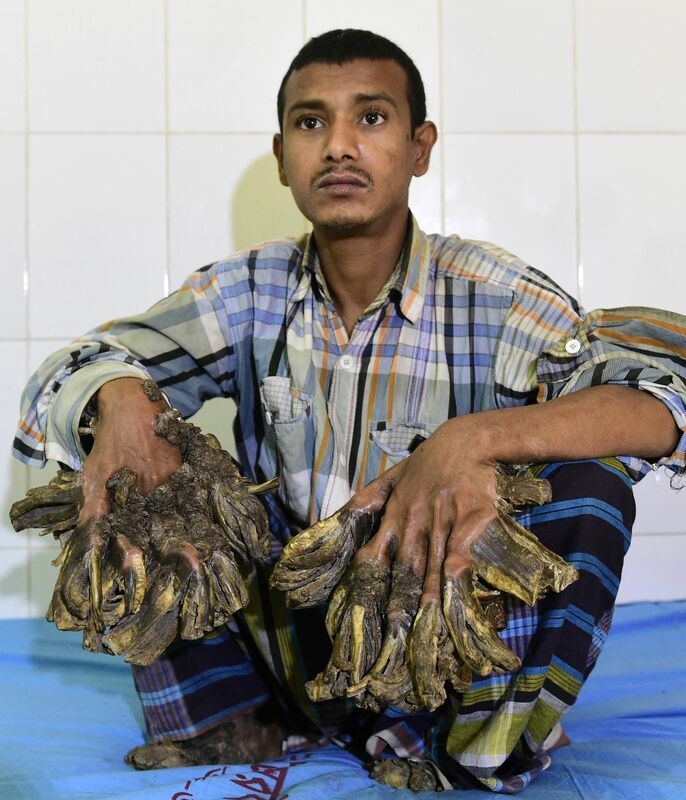 10-year-old Sahana Khatun may be the first female to ever be diagnosed with 'tree-man syndrome', officially know as Epidermodysplasia Verruciformis. 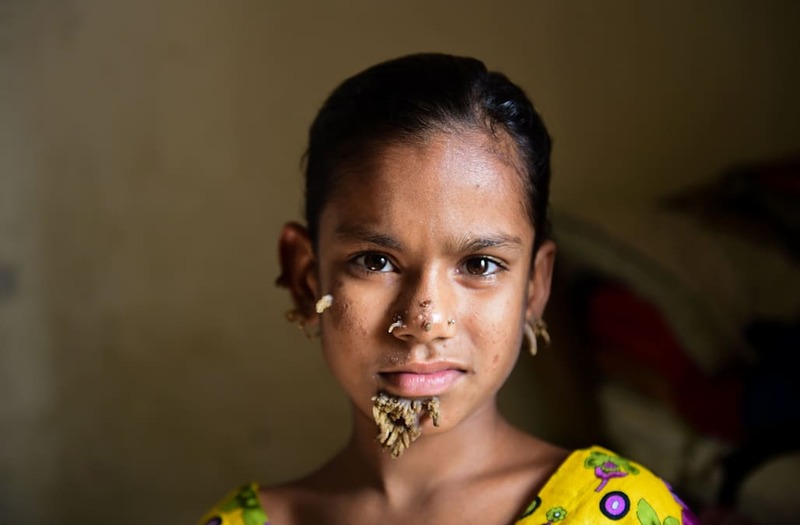 The young Bangladeshi girl started noticing the beginning of a bark-like wart on her face four months ago, since then her condition has progressed drastically. Sahana now has protrusion on her chin, cheekbones, nose, and ears. At this time an official diagnosis has not been made. Thankfully if Sahana is the first female to be diagnosed she will be in good hands. The same doctors who have given Abul a new lease on life are currently running tests to decipher if the young girl suffers from the rare disease. If so the doctors believe Sahana's case will take less recovery time due to its current rate of growth. On February 7, 2017 Sahana underwent surgery to remove the growth's from her face. Dhaka Medical College Hospital doctor's say her surgery was a success and they hope to discharge her in the coming weeks.